At Super Color Digital we are expanding our creative tool box with another piece of equipment for our Irvine, California facility. 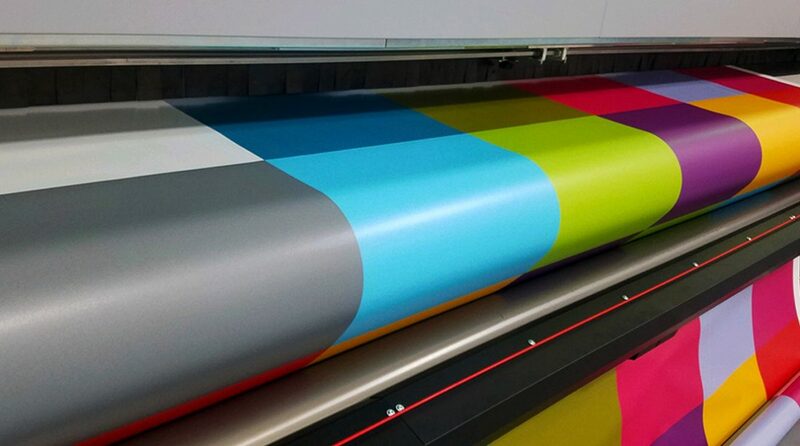 We are consistently striving to adopt the latest and greatest technology for our large format printing capabilities and this machine is no exception. We are thrilled to announce the arrival of our latest printer, the Durst Rho 512R Plus. One of the many benefits of the Durst Rho 512 is the new LED technology which provides the same high print quality and productivity with less power consumption, reduced noise level, and an ozone-free process. At Super Color Digital, not only are we committed to using the best technology available, but we are also committed to reducing our carbon foot print and increasing sustainability. The Rho 512R Plus has state-of-the-art Durst Qadro Array printhead technology along with Variodrop technology; the Rho 512R Plus is the standard for 5m, 16 foot, wide high-end UV inkjet productivity. 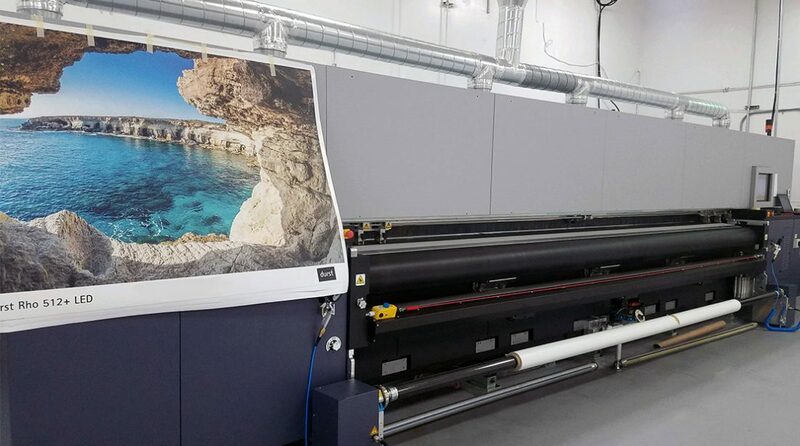 With a print quality of up to 1200 dpi and at speeds of up to 4150 square feet per hour, the Rho 512R Plus prints a variety of large format advertising materials, and can also handle three 1.6m/5 ft. rolls simultaneously. Here at Super Color Digital we have multiple facilities across the country each with unique capabilities. At Super Color Digital, we continue to build our arsenal of resources to bring you the very best in visual solutions and large format technologies.